Zindel V. Segal, Ph. 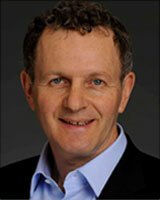 D.
Dr. Zindel Segal is one of the co-developers of Mindfulness-Based Cognitive Therapy. He has worked alongside John Teasdale and Mark Williams for a number of years, studying how people who have suffered from depression can prevent further episodes of the illness from coming back into their lives. Dr. Segal has studied and published widely on psychological treatments for depression for more than 30 years, especially the nature of psychological prophylaxis for this recurrent and disabling disorder. His early work helped to characterize psychological markers of relapse vulnerability in affective disorder, and provided the empirical rationale for offering training in mindfulness mediation to recurrently depressed patients in recovery. An NIMH-funded investigator, he is an author of 130 scientific articles and ten books, including The Mindful Way Through Depression, a patient guide for achieving mood balance in everyday life. View Dr. Segal's TEDx Talk here. Dr. Sona Dimidjian has been studying effective treatments for depression for the last 15 years. She received her BA in Psychology from the University of Chicago and her Ph.D. in Clinical Psychology from the University of Washington. She joined the faculty at the University of Colorado at Boulder in 2006 and is an Associate Professor in the Department of Psychology and Neuroscience. Her research addresses the treatment and prevention of depression, with a particular focus on the mental health of women during pregnancy and postpartum. She is a leading expert in cognitive and behavioral approaches to depression as well as the clinical application of contemplative practices, such as mindfulness meditation. She has a longstanding interest in the dissemination of empirically supported treatments and evidence-based practice, both nationally and internationally. She also is a widely respected teacher and clinician and has been the recipient of numerous awards acknowledging her teaching and clinical research, such as the Dorothy Martin Women’s Faculty Award and the Outstanding Graduate Mentor Award at the University of Colorado, Boulder as well as the Susan Hickman Award from Postpartum Support International.